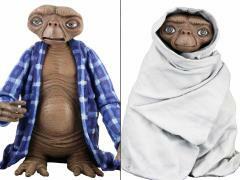 This set of 2 articulated E.T. figures include Telepathic E.T. and Night Flight E.T. Telepathic E.T. 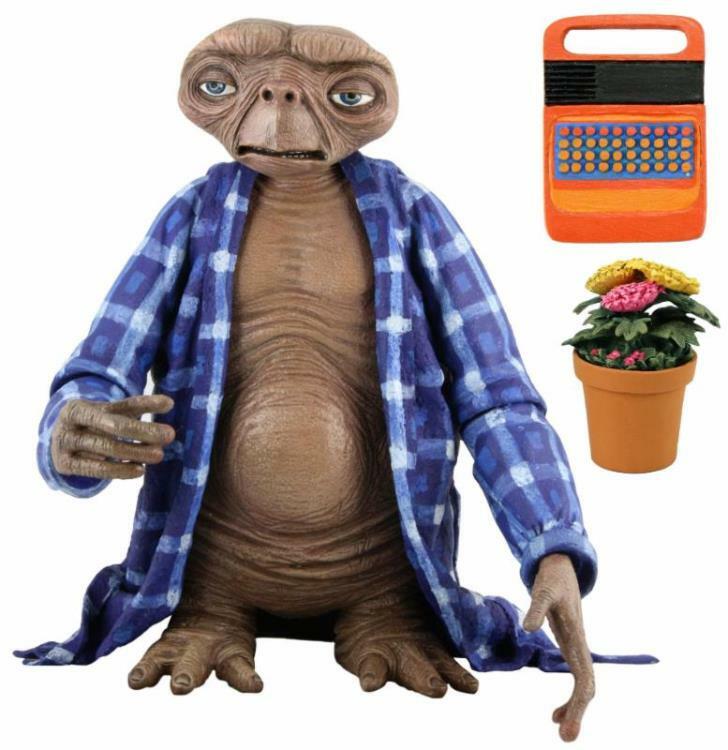 is featured wearing his blue plaid shirt, bored expression, and comes with a flower pot and speak and spell accessory as well as an alternate neck, while Night Flight E.T. 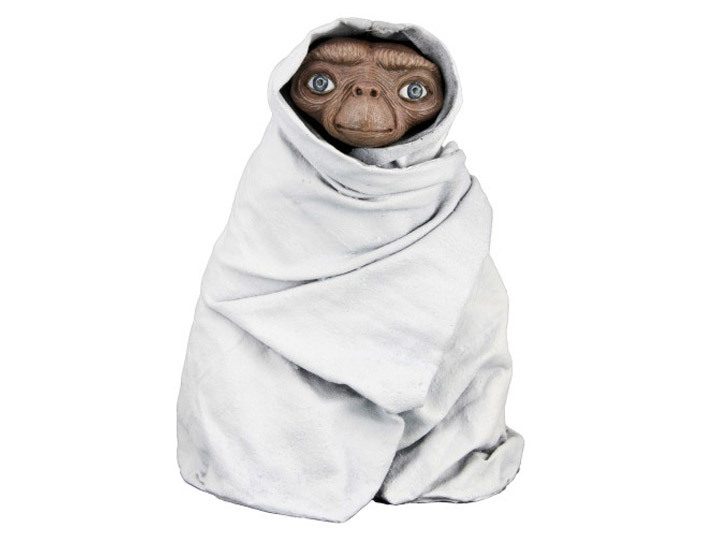 includes a blanket to recreate the bike scene! Each figure features ball jointed necks, shoulders, elbows, wrists, and ankles. Celebrate 30 years of this beloved alien friend!